Drinking and vacationing have long had a symbiotic relationship, as perfectly illustrated by every poolside bar you've ever been to. 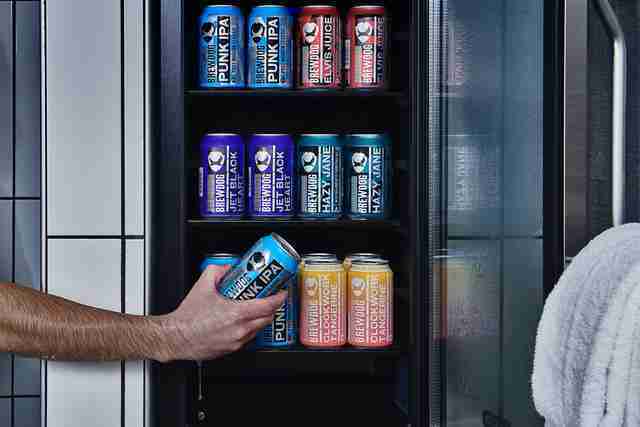 But rarely are they as closely linked as they will be at the BrewDog Brewery in Ohio, which will open its long-awaited craft beer-themed hotel, The DogHouse, on Monday, August 27. Touted as the world's first hotel inside of a brewery, the much-anticipated project from the Scottish-based beer brand has been in the works for well over a year, and if you consider yourself a craft beer fanatic, you've probably already heard about it. 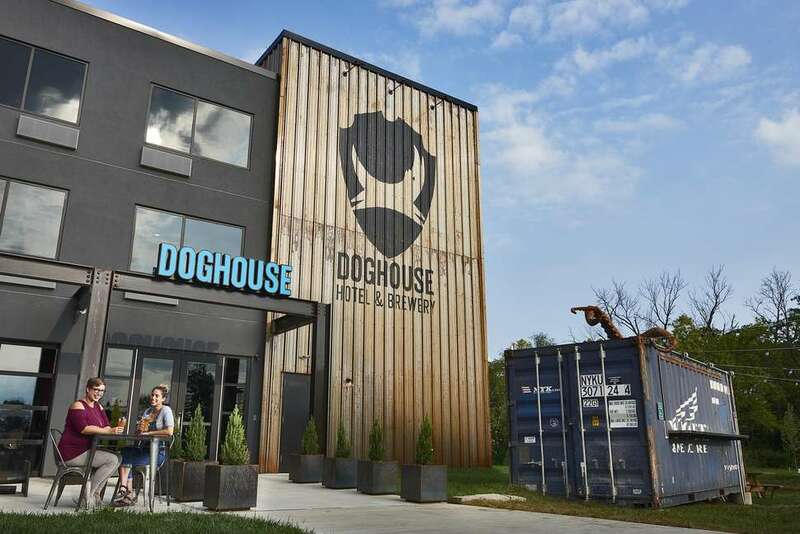 Now, BrewDog's DogHouse outside of Columbus, Ohio is finally opening to the public, and will soon welcome its first guests. So, if you can sneak away for a long weekend next week, you may want to try and book yourself a cheap flight to The Arch City. 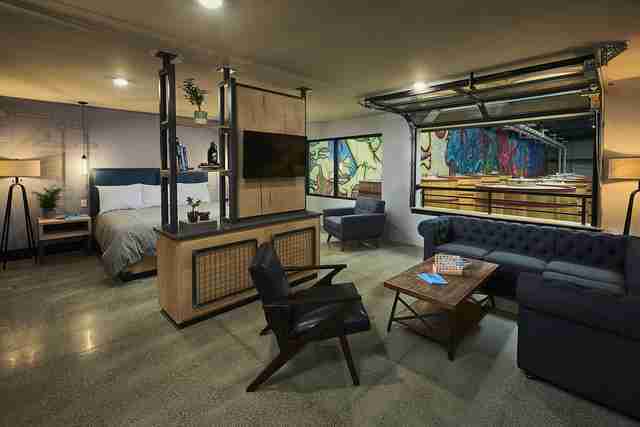 The hotel boasts 32 guest room including eight suites, many of which will overlook the brewing facility and workers below, and all of which will feature a whole slew of beer-centric amenities and features. For example, all rooms come equipped with beer taps, as well as stocked beer fridges in both the room and in the shower, since there's nothing quite like cracking open a cold one while you wash off. You're on vacation after all, so you deserve a shower beer, or two. In addition to the in-room perks, guests will be greeted by a lobby bartender when they arrive, who'll hand over a complimentary beer during check-in. Other on-site amenities include large common areas and a front patio to relax, ping (or, let's be real, beer) pong tables, a media room, state of the art fitness center, and even a dog park, which is easily accessible from its four dog-friendly guest rooms. Even the personal products are beer-themed, and include a line of hop-infused soaps. BrewDogs' DogHouse hotel plans were first announced in the Spring of 2017 with a crowdfunding campaign that aimed to raise $75,000. To date, its raised well over $300,000, and the brand is intent on creating the perfect getaway for its most dedicated fans. 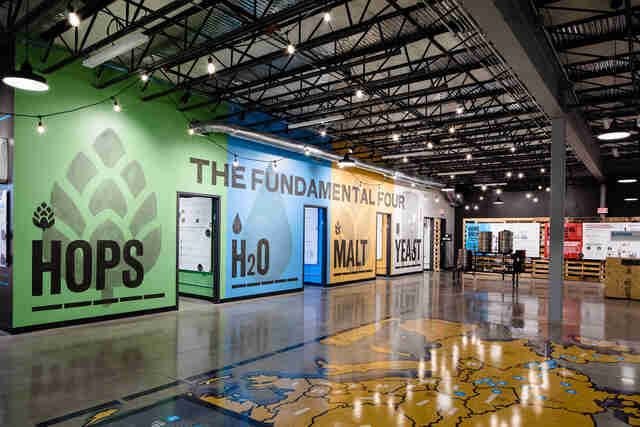 Besides the hotel, BrewDog has also unveiled a spankin' new 6,000sqft interactive beer museum at the brewery, featuring a deep dive into the history of craft beer and a hands-on experience showcasing what goes into creating it. Plus, they're also expanding their brewing operation to include an all-new, state-of-the-art sour beer facility right on site. As of this writing, there are still regular guest rooms available for opening night, starting at $162. Suites for nights after that start at $224, but you'd be wise to book soon if you want in on the early action because it's very likely beer nerds from far and wide will be flocking very soon.